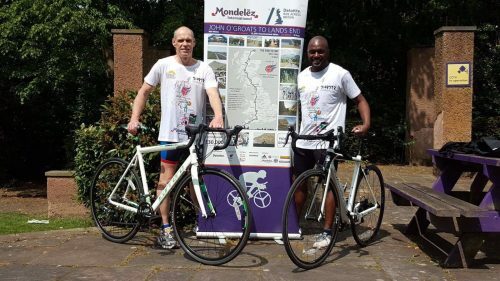 On 9th September 2017 Stephen Davies and Michael Huggins, who both work for Mondelez International (Cadbury’s), will begin their nine-day adventure cycling from Land’s End to John O’Groats. The journey is just short of 1000 miles and they will be cycling over 100 miles each day. They will be supporting seven charities on this challenge – now known as THE MAGNIFICENT SEVEN – one of which is The Three Hills Actions Trust. If you would like to support them and The Three Hills Action Trust you can donate on Michael’s secure JustGiving site.